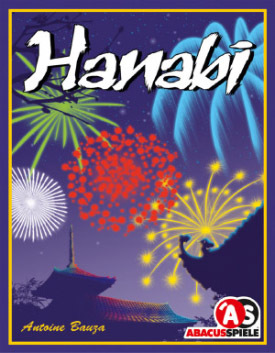 Hanabi is a challenging cooperative card game in which players attempt to play a series of cards in a specific order to set off a simulated fireworks show. All players race against the clock to build a dazzling fireworks finale. The card deck consists of 5 different colors of cards, numbered 1-5 in each color. The players try to place each color in the correct order from 1-5. The players can see other player's cards but not their own. It's important to work together and to share vital information in order to play the cards in a proper launch sequence. 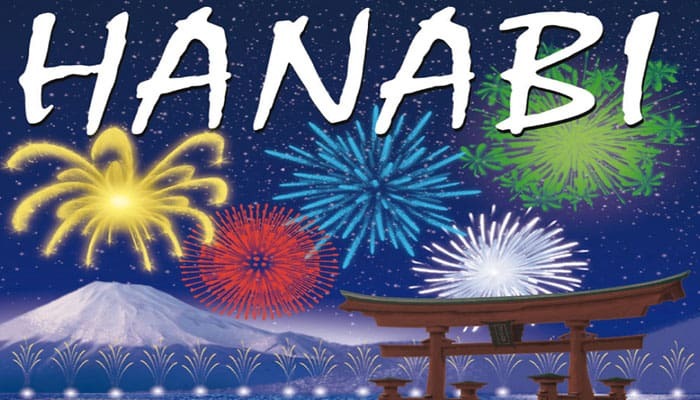 Hanabi is a cooperative game, meaning all players play together as a team. The players have to play the fireworks cards sorted by colors and numbers. Players may rearrange their hand cards and change their orientation to help themselves remember the information they received. Players may not ever look at the front of their own cards until the play them. The discard pile may always be searched for information. Hanabi based on communication and non-communication between the Players. If one interprets the rules strictly then players may not, except for the announcements of the current player, talk to each other.